A couple years ago, I got one of those out-of-the blue calls that sounded legit, but also made me very suspicious. It was from a military recruiter, the Army Reserves to be precise. At the time I was 39 years old. Not quite the age anymore to be considered for military service. He explained that he was recruiting for the military chaplaincy, and at 39 I had a couple more years before I would be too old to start a career in the military. He told me I didn’t need to worry…I wouldn’t have to go through basic training! I would, however, have to go through a chaplaincy training program, but the Army Reserves realizes that its chaplains are usually already in full-time ministry, so they try to fit the training around a pastor’s schedule. As a chaplain in the reserves, after my training was complete, my responsibilities would be just like any other Reservist, spending one weekend per month on base, and two weeks each summer. Of course, if my unit got called up to active duty, I would go with them. The recruiter assured me that many of their chaplains are full-time pastors, and their churches work around their Reserves schedule. Additionally, and this piqued my interest, I would be qualified for a military pension if I served 20 years, and because I already had my master’s degree, I would start my military career as an officer! I couldn’t believe it. I had not sought this out. I had not had a conversation with the chaplains in my denomination. It came completely as a surprise. How did he find out about me? Maybe he just looked on my denomination’s website? I don’t know. And it doesn’t really matter how he found out. What mattered was that this was a serious offer, and I needed to evaluate it. I have to admit that there was an inkling of interest deep within me. I liked the idea of a military pension. I liked the idea of being an officer is the US Army. And I’ve heard from my military chaplain colleagues how many wonderful ministry opportunities there are for chaplains. I like all of that, and it excited me. So Michelle and I needed to talk about it. We needed to pray about it. If I became a military chaplain, it could deeply impact my family. Would my wife and kids be okay with having me gone so much? And what if my unit got called up, and I went to serve in a war zone? I also needed to talk with my church, or at least the group of leaders in my church that could give me honest feedback about this decision. It was an opportunity that could also deeply impact our church. My church already graciously and wisely allows me one Sunday off preaching every month. It doesn’t always happen, but I’m very thankful for it. This chaplaincy opportunity would go well beyond the once/month off though. Would the church be okay with me being gone so much? And what would happen to this full-time ministry that I committed to before the Lord and before the church if my unit did get called up and I would be gone for months? Simply put, for an opportunity like this, I would have to count the cost. And I would have to get others to join the evaluation process with me. It was an amazing opportunity. Very enticing. But it came with a cost. This coming Sunday at Faith Church we will study Luke 14:25-35, a passage about counting the cost. Check it out before worship on Sunday. Like that recruiter, God is offering you an amazing opportunity, as we’ll see in this teaching by Jesus, but we need to count the cost. So we invite you to join us to learn more. 144,000? Maybe that’s how many will be saved? Outside you can see the people looking really confused, shrugging to one another with a look on their face that says “What is he talking about?” They respond back to him saying “But we ate and drank with you, and you taught in our streets!” It sure sounds like the people outside have convincing evidence for him to think, “You’re right…fine!” then open the door and let them in. There seems to be a relationship between the people outside and the owner of the house. The Pharisees speak up because they suspected, rightly, that Jesus was telling this story about them. They tell him to leave that place because they local maniac king Herod was apparently uttering threats against Jesus! Jesus, undeterred, says “Go tell that fox that I must be about my business.” Jesus then proceeds to say that a chicken will save the world. But truly, when you think about it. He doesn’t use the words: “a chicken will save the world.” He says that he is like a hen who has desired to gather her chicks. He is using a simile, a figure of speech, to liken himself to a chicken. And he does desire to save the world. That was why he was born. That was the focus of his preaching, that the Kingdom of God was being made known through him. That people should follow his way. And so in an astounding image, Jesus says that he looks at the people (and he specifically mentions the city of Jerusalem here), and desires to draw them in like a hen would lift up her wings and cover her little chicks. That’s how God feels about us. He loves us and wants to save us. Jesus never answers the question if just a few will be saved. Instead he reminds of how God wants to save us. He has not only provided a door, albeit a narrow one, for us to walk through in order to be saved. God also loves us and wants to save us. We see the heart of God in this passage. God’s heart is an attitude of grace, love and mercy for us. In the narrow door story, the people thought they knew Jesus, but they were wrong. In the hen story, Jesus goes on to tell the people, they were not willing to be gathered under his wings. Instead people are like a chick who would run away from the loving, care of the mother hen. We might ask why any chick would do that. Why would they be unwilling when the care of their mother is so good and safe and warm? I can’t answer for a chick, but I think you and I can answer that question for humanity. So what if we rewrite the question: Why would so many people turn away from God? When God loves us so much, when he gives us grace and mercy, when he sent his Son to give his life for us so that we can walk through that narrow door, why would we not want to be close to him? There are many reasons why a person would not want to be close to God. It could be distractions. Our American society has a lot of entertaining distractions to offer. If we have food, clothing, and fun (and we have oodles of them here), why do we need God? It could be disbelief. Plenty of people simply don’t believe in God. It could be particular view of God. Some see God as a tyrant or judgmental. Who would want to be close to that kind of God? There could be more reasons. How do you feel about God? Do you feel close to him? Do you feel far? I came across an article this past week that could point out roadblocks that could prevent you from knowing God better. It’s called 10 People Nobody Can Help. Are you one of those 10? Second, be like the chick that is willing to be gathered under his wings. Run to him. Remember that he loves you. God is not angry at you. He wants to be close to you. Jesus’ point is that staying under his wings is the best possible place to be. Do you believe that being close to Jesus is the best possible place to be? I will probably not be able to convince you. Instead I urge you to take him at his word and give him a try. Want to know how to run to him? It starts with prayer in the midst of situation “Lord, I trust in you. Take my life. I give myself to you. I want you to help me. I want to know you more.” And you have to mean it. Jesus, another time, said “Abide in me, and let my words abide in you.” Get his words in you. Study the Bible. Even if it is reflecting on one verse per day. Read a chapter of Proverbs per day. Read a Psalm per day. Then get in touch with someone who can help you study the Bible deeper. Get a study bible and use the notes. Be committed to his mission of making disciples. Be discipled yourself by someone who is more mature. Ask them to disciple you. I should be able to go to each of you and ask “Who is discipling you?” and you should be able to give me that name. And from the other direction I should be able to ask you “Who are you discipling?” and you should have a name. You can ask the same questions of me! Abide under his wings through being generous with your money. Abide through giving of your time to serve the Lord…in a ministry in the church, in a community outreach, etc. This is the sacrificial nature of the disciple of Jesus. As we head into 2016 let’s take a look at Jesus and let’s check our hearts. Are we “riding the coattails” of our family’s Christian values, are we hoping we are being good enough because there are so many others who are worse? Q & A with Jesus – How many will be saved? I try to read back over those sermons each time I preach them again. If there is material I can use again, I just might, but almost always I find that I need to start from scratch, even if I feel that previous sermon was decent. Technically, last time I only preached on Luke 13:22-30, and this time we’ll add verses 31-35. It is a question that comes up often in Jesus’ ministry, and one that people still today ask. Recently a college friend asked this very question. The answers are varied. Some believe all will be saved. We call that view universalism. It is quite popular as it depicts a gracious, loving, merciful God who can’t let any of his human sons and daughters perish in hell. Others believe there is no hell. Still others believe that there is a hell and people will go there. Some views depict God placing people there of his own desire and choice. Others say that humans choose to go there, mostly out of disobedience to God, primarily for failing to believe in him and follow his ways. What is so interesting to me, as I write this on Christmas Eve, is that tonight at our Christmas Eve Service we will be talking about and celebrating the purpose of Jesus’ birth, and in Luke 13:22-35 Jesus himself, about 30 years into his adulthood, is also talking about his purpose. What does adult Jesus have to say about why he came? What he has to say directly relates to the question of how many will be saved! As is so often the case, he decides to answer the question from the crowd with a story. A story about a man with a house that has a door. Then he goes on to liken himself to a chicken, and a female chicken at that! Join us Sunday at Faith Church to hear how Jesus answers the question of how many will be saved! We Christians talk a lot about the Kingdom of God, but what exactly is it? Just a place people go to in the afterlife? Heaven? Jesus often said things “The Kingdom of God is among you, is near, has come.” What in the world did he mean? The people in his day often seemed confused about the Kingdom of God. I wonder if we are too. In Luke 13:10-21, Jesus has the perfect opportunity to talk further about the Kingdom. After ticking off the local synagogue ruler for doing a healing on the Sabbath, Jesus tells two super short parables about the Kingdom. 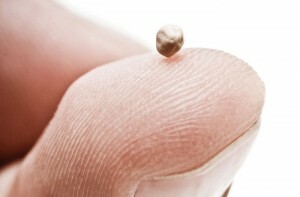 First is the Mustard seed; it’s tiny, but grows huge. I’ve never seen this in real life, so I’m going to take Jesus’ word for it. The second is about Yeast; again it is tiny, but infects a huge lump of dough. How huge? Massive. The NIV says “large amount of dough”, but Jesus actually uses a specific measurement here. If you’re reading in the Greek, it is 3 satas. A sata was 12-13 liters. So about 36 liters worth of dough. Who can do the math to convert that to gallons? 9.5. You can make a lot of bread with 9.5 gallons of dough. To his main point, Jesus is right. Even a tiny amount of yeast will expand, multiply and spread through that dough. Again, I haven’t worked with yeast before, but some bakers I’ve talked with vouched for this story. They told me that it is amazing to watch work through some dough. What is the Kingdom of God like? In these two parables Jesus teaches that the Kingdom starts small, but grows and expands with surprising hugeness. What in the world is Jesus thinking here? Why would he want to tell these two parables at this point? With the healing having just taken place, and with the interaction about Sabbath, what about this situation caused him to think about the nature of the Kingdom of God? Could it be that he wants to point out to the people how different the Kingdom of God is to the religious system that they are used to? The Kingdom of God is surprising like the mustard seed. That tiny little seed grows into something huge. The Kingdom of God, like the Yeast, is contagious, it spreads surprisingly fast through even a large group. The Kingdom of God grows and strengthens as it grows. How does this happen? By following the rules and regulations of a man-made religious system? Nope. Instead the Kingdom’s surprising growth happens in us and through us when we follow the way of Jesus who was willing to follow the way of the Kingdom even if it meant not following the man-made rules of the local religious system. I love how Jesus refers to this in the Lord’s Prayer that we talked about a few weeks ago. You know the phrase “Thy Kingdom come, thy will be done, on earth as it is in heaven”? Think about the dynamic of that. God wants his kingdom to come into our lives so we are transformed by him. Our lives should be growing, changing as a result of following Jesus. Let the Kingdom of God work its way through your life. Let the Kingdom of God grow in you. Let’s not be a people who brainlessly follow religious rules, like the synagogue ruler wanted Jesus to. Let us allow God’s Kingdom to fully infect us. First, do good, like Jesus did. There are so many ways to apply this. What does being a do-gooder look like for you in your home, in your office, in your school? Second, practice the principle of Sabbath: rest, don’t work 24-7, worship, be with your family. I’ve been convicted of this lately. Our denomination sets how much vacation time I get. Pastors start with three weeks of vacation each year. Each of those weeks can include one Sunday off. For every ten years of ministry, you get an additional week off, maxing out at five weeks. Each year pastors are also allowed to be away for one Sunday of Ministry or Study Leave, such as when I was away on the mission trip to Kenya. I’ve been with the EC Church for 13 years in full-time ministry, so I now can take four weeks off each year, including four Sundays away. Frankly, I’ve done a terrible job of taking my vacation. Don’t applaud that. Sometimes employees where it as a badge of honor that they don’t take vacation. There is a great reason for vacation, and no matter your profession it is very wise to take it. I say that based in the principle of Sabbath. As much as you and I should be finding weekly time for rest, family and worship each week, we should also use our vacation time. Be disciples who make disciples – watch the Kingdom grow through you. Pray for the filling of the Spirit. Immerse yourself in the Word of God – Read the Word. Do you ever think, “What can I do? I am just one insignificant person?” But that’s exactly how the kingdom of God starts. Through one person. Start Small. One little thing. If each person did one thing, imagine the impact. We can too easily think that our one life impact is too small, doesn’t matter. We don’t have to get massive attention, or right away make a radical impact. Our culture loves to highlight the big splashes. But what about all the people who are just faithful in small ways? They never get a news story about them. They never become famous. But they are being faithful. Put together they are a massive impact. This is one of the reasons why I love that in our school district we have a ministerium that works together in unity. Churches of all shapes and sizes have joined together to promote Christ and share his love to our community. In recent years the ministerium started Conestoga Valley Christian Community Services which features a clothing bank and food bank making a difference in the lives of people in our school district. I’m honored to be a part of that. Allowing the Kingdom to infect your life might start very small. Like the mustard seed. Like the yeast. But that is okay. Start something! Have you lost the Christmas (Kingdom) Spirit? My family loves the movie Elf. This year we watched the movie version starring Will Ferrell, and the cartoon version starring Jim Parsons, both to hilarious laughter, though I think most of the family would say they prefer the movie version. The premise of the movie is that a human, named Buddy, is raised by elves in Santa’s Workshop. As he grows into an adult he struggles being so different from the elves, as you can see in the picture above. His solution is to leave the North Pole, and travel to New York City to find his real dad. Once there much hilarity ensues, but in the process Buddy discovers a troubling reality. So many people, including his dad, have lost the Christmas spirit. Buddy, of course, has a personal friendship with Santa and his reindeer, so he assumes the truth of Christmas. Buddy is filled with Christmas spirit. In New York City, though, he finds Santa Claus impersonators, a disturbing lack of Christmas cheer, and plenty of nonbelievers. One of the central questions of the movie is how to help people regain that Christmas spirit. I encourage you to watch the movie to see how it turns out. 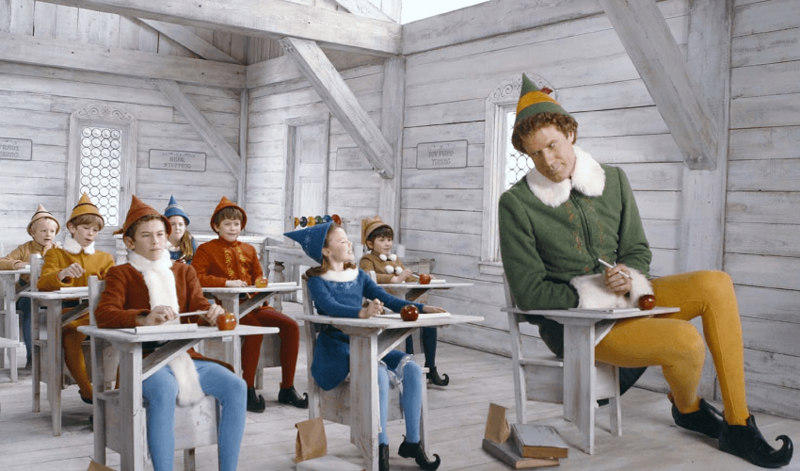 As we continue studying the Gospel of Luke we come to Luke 13:10-21 where some people in Jesus’ community, like those people in the movie Elf, seem to have lost something. While the people in the movie lost the Christmas spirit, the people in Jesus’ day had lost a true understanding of the Kingdom of God. In Luke, we’ll see that they thought the Kingdom was one way, and Jesus says “No, it is something very different.” In essence we’ll hear Jesus say “You’ve lost the spirit of the Kingdom of God.” It’s a pretty shocking story because the very people who are to understand the Kingdom best actually don’t understand it. Because of that, this story just might be very instructive to us. Do we know what the Kingdom of God is like? Do we understand how it works? How is God’s Kingdom supposed to impact us? Can you say that you have been impacted by the Kingdom of God? What does the Kingdom of God matter, anyway? Is it possible that we think we have a firm grasp on the Kingdom of God, but we have actually lost it? Join us at Faith Church as we talk about this further. Is God angry? Yesterday at Faith Church, we looked at Luke 13:1-9, a story where people in the crowd following Jesus mentioned a current event. Much like we’ve had mass shootings lately, there were actually two awful tragedies that had recently happened in Jesus’ day. The crowd referred to the Roman leader Pilate who killed a bunch of people, and then Jesus talked about a tower that fell on 18 people killing them. Jesus knows the question on people’s minds that day. He knows why these questions came up. Is God angry? Were these two horrors the result of God punishing the people for their sins? Jesus’ answer is a clear NO. Jesus says these disasters did not happen because the Lord was punishing people for their sin. Their sins were no worse than others. Why did Pilate mix the Galileans’ blood with their sacrifices? Most likely because he was a maniac, psychopath who went overboard to put down any rebellion or discord. It was his sick way of keeping the peace. Why did the tower fall? Maybe it was old. Maybe it wasn’t well-built. Maybe there was a wind storm. We don’t why either of these situations happened. But we do know from Jesus’ mouth that these situations didn’t happen because these people were worse sinners. We live in a fallen world where tragedy and disease and violence is part and parcel of the world. Jesus goes on to say that there is a larger issue. God wasn’t punishing people in these two headline stories of the day. Their sins weren’t worse and somehow deserving of diving judgment. Instead Jesus twice says that what we should be concerned about when we hear of tragedy is that we are all sinners who could perish. He’s not grim and fatalistic though. He says there is hope, we can repent! So we need to talk about repentance. But before we do that, Jesus tells a parable to explain things even further. He talks about a fig tree that bears no fruit for three years. The normal response for a tree like that is: Cut it down. It is taking up precious space. Get rid of it, plant a new one. But the gardener in the story intervenes. “Leave it alone for one more year,” he says. This is mercy! It is for us the image of God as a long-suffering God. And this was after three years of no fruit. But he is still willing to give MORE time. We so often hear about God’s judgment, but this parable reminds us that God is a merciful God! I hear people concerned that God is so violent, especially in the Old Testament. In my personal reading this week, though, I came across Psalm 78. In this short retelling of the history of Israel we see his anger for sure, but only after numerous affronts from his people. For centuries all he did over and over was help them, save them, rescue them and provide for them. And yet they respond by worshiping other gods, complaining, and disobeying him. It’s all a bit too personal really. When I put myself in God’s shoes, and I read the words the psalmist uses to describe God’s emotion and reactions, I think about the task of parenting. It can be so frustrating! And what I need to do is turn my gaze on me and see that that is how God can feel about me. I can be so fickle, so quick to lose interest in him. So quick to allow my thoughts and heart to wander. But Psalm 78 reminds me that he is amazingly loving, gracious and merciful. You know what this is a picture of? Discipleship. It’s a person who gets involved. Gets their hands dirty. It’s messy. But people can grow, they can bear fruit. What will it take to become a fruit-bearing disciple of Jesus? Fertilization. You work with a plant to bring it to health. That’s the heart of God. He isn’t angry, giving up on us. He is merciful and gracious and love us. He wants to see us get healthy and grow and produce fruit for him. He gives us another chance. He forgives. That’s why Jesus was born, that’s the message of the Christmas story: he came to rescue us, so we could flourish. He entered into the pain of our world with us. We are not alone. He knows our pain. He’s not angry. Instead we should respond, Jesus says, first by repenting. Repentance is when we admit our sins, we confess them, we get them out in the open, and we say “I’m going to make a change.” And then we work on making that change. That’s where the fertilizer comes in. We work to get healthy so we can grow and produce fruit for his kingdom. I think it is really important to ask what kind of fruit we are talking about. Maybe the Fruit of the Spirit? Probably not, because Paul will only refer to that about 30 years later. But it is absolutely appropriate for us to think that disciples of Jesus will grow the fruit of the Spirit in their lives. Those character qualities should be coming out of our lives. Because of that I think it is important to talk about opposites of fruits. Do you struggle with negativity, complaining, bitterness, impatience, anger? What will it take to change those wrong attitudes and actions into the fruit of the Spirit? So while Jesus was probably not talking about the Fruit of the Spirit, what fruit was he talking about? The fruit of a fig tree was more fig trees. Fig trees produce figs which have seeds that can produce more. That is the fruit. For a follower of Jesus, then, the fruit we should be producing is more disciples of Jesus. What is a disciple of Jesus? Not just a believer. Not just a church-goer or worshiper. But one who is being transformed into the image the Christ. One who is becoming like Christ in heart, attitude, and action. One of Jesus’ main actions was making more disciples. Take a look at how this works in the parable. The farmer does not expect a fig tree which has been barren for three years to magically start bearing fruit in year 4. Same for us. We have the Spirit, but we can choose to not allow him to work through us. Why do people choose not to make disciples? They were never discipled themselves and don’t know what it looks like. They think they can’t do it. They think that it is just for the professionals (pastors, worship leaders, missionaries). They have been taught that that they just need to believe, and go to church and be good. No matter the reason, the reality is that many Christians are like a fig tree that bears no fruit. But there is hope, Jesus says. If you are not producing fruit, you can repent and change. To bear fruit we have to choose to bear fruit! If we are not bearing fruit, and we don’t know how, we need a gardener in our lives to fertilize us. In other words, if we are not bearing fruit, we might need to be taught how. We need to be discipled. We need people to invest in our lives to guide us, lead us. We can choose to totally avoid discipleship and disciplemaking. As Jesus’ brother James would later say, “Faith without works is dead.” That is a serious charge, and should give us pause. If we cannot see fruit in our lives, we should want there to be fruit. We need to repent, just as Jesus said in the first part. We need to repent of our lack of following him, we need to repent of our failure to make disciples. Remember that God is not just a God of judgment, he is a God of mercy. He gives more time! Remember that there is mercy! Today there is mercy from God. If you are not bearing fruit, there is mercy! God wants to give you time, God wants to see you be fertilized, to flourish for his Kingdom and mission. Parents, your first priority is your kids. If you are not discipling them, make them a focus. But you can all think about discipling the people in your church, or maybe a coworker, a neighbor, friends in school or someone on your club or sports team. It starts with being a real friend, building a real relationship with them, no matter if they want to be a disciple or not. Then care for them, pray for them, encourage them and love them. Remember that the process of fertilizing is messy, dirty hands work. If you know you are not bearing fruit and you need to repent and be fertilized, seek that out. If you know of someone else in your life who needs to repent and be fertilized, start by praying for them. Would you make a commitment to pray for that person as often as possible, maybe every day, in 2016? Ask God to give you the opportunity to be the kind and merciful gardener in their lives. Then watch for the opportunity to materialize, and go for it. Disciple them. Want to learn more about how to disciple others? I’d be glad to talk with you. God’s not angry. He wants us to flourish! Does he want to punish us? A few years ago there were tornadoes that ravaged the middle of the USA. One famous preacher and theologian said that the tornadoes were God scraping his fingers across our country in judgment. Is God meticulously controlling the world so that everything that happens is because he wanted it to? Does he make all the bad stuff happen? If something bad happens can we say that it is God’s fault? Consider all the very difficult and awful mass shootings that our world has been dealing with lately. Paris. San Bernadino. Is God controlling these people that shoot and kill? It is hard to know what to say in those moments. What would you say? There are so many possible answers. The pastor I refer to above, and many others like him, believes that God does judge and punish, and allowing us to go through hard times is an indication of his judgment. They believe that God sees the sin in the world and responds with trials and troubles. Famous preachers said that the 9/11 attacks were punishment against America. Others said that Hurricane Katrina was a judgment against the sinfulness of Mardi Gras in New Orleans. That preacher who talked about God scraping his fingers across Oklahoma was responding to a denomination who was having denominational meetings nearby and one of the issues they were considering was accepting homosexuality. So he believed God responded by slamming the area with tornadoes. This week at Faith Church we come to Luke 13:1-9, and there we find that Jesus is faced with a question about two local tragedies that had happened. Was God punishing people? How will Jesus answer? Join us at Faith Church to learn more!